University of Memphis Head Men’s Basketball Coach Josh Pastner may very well be the most positive person on the planet. Since taking over for former U of M Coach John Calipari in 2009, Pastner has compiled a record of 106-34, leading the Tigers to three Conference USA Championships and a victory over St. Mary’s in the opening round of the 2013 NCAA Tournament. 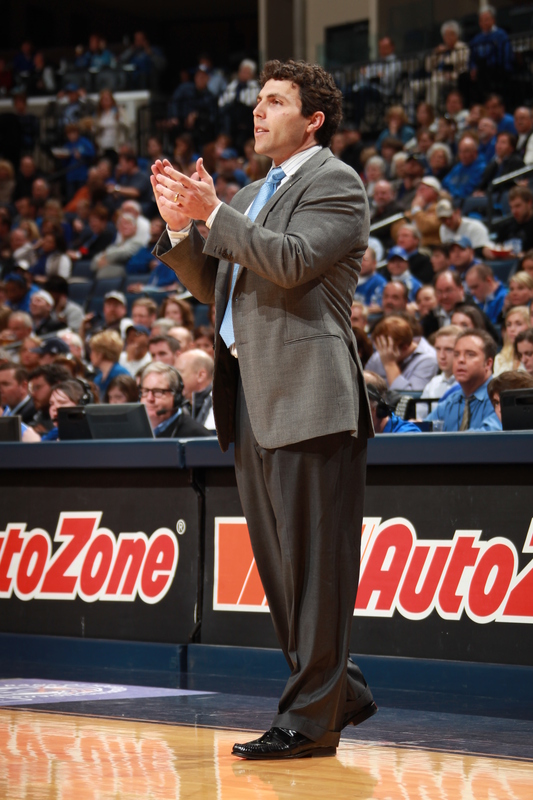 Memphis enters the 2013-14 season, Pastner’s fifth as the Tigers’ head coach, as a member of the new American Athletic Conference. I recently spoke with Pastner about his views on the program since assuming the role of head coach. You came into a unique situation at the University of Memphis. You came into a program that has seen great success under coach Calipari, a guy that you came in and got to work under for a year as an assistant. Coming into your first season at the University of Memphis, what were your real expectations coming into that season? I was following Coach Calipari. I was following a guy that’s a future hall of famer and a guy that, what he had accomplished in the previous four years had never been done in the history of college basketball (Editor’s note: Four consecutive 30-win seasons). John Wooden didn’t do it, Dean Smith didn’t do it, Bobby Knight didn’t do it. Here I am 31 years of age following Coach Calipari, but I didn’t look at it as a negative. I looked at it as a positive. I didn’t try to come in and overhaul and do a lot of changes. Even though I didn’t have a staff because everyone followed Coach Calipari to Kentucky, which was obviously expected and which I was going to do, anyway. I just tried to continue the momentum that we built and the reason we were able to keep the program at a very high level was a direct correlation of the fan base here. The fan base allowed us to stay at the very highest level and allowed us to keep the momentum going. Basketball is THE thing in the city. Did having that year underneath Coach Cal as an assistant kind of give you a better understanding of what, exactly, you were dealing with when it came to, not just the University of Memphis, but the City of Memphis and everything when it came time to take that position as head coach? Yeah, I think the year as an assistant allowed me to have a better feel for the lay of the land and allowed me to have better preparation. I don’t know if going into that, not having that one year here, who knows what the circumstances would’ve been? I don’t think I would’ve gotten the job. I know I would not have gotten the job if I was an assistant elsewhere. (It was) kind of being at the right place at the right time. All the other hundred coaches who turned the job down helped me get the job [laughs]. That right place at the right time thing, it’s funny how so often in life that’s kind of how things work out and so many good things do happen. Since taking over the reins, your teams have seen, at least record-wise, steady improvement season after season. And you’ve been able to bring in consistently strong recruiting classes. I know, at least locally, you heard it plenty of times coming into last season, if there was a knock on Josh Pastner, people pointed to the NCAA Tournament and a victory there. You finally got that monkey off your back last season. What are your views on the progression of the program since you came in and took over? I think the program’s as healthy as it’s ever been when you look at all areas of it – academically, compliance, athletically, on the court, off the court. I think it’s as healthy as it’s ever been in this history of the program. And that’s not because of me. That’s just because the program, that’s where it’s at right now. We’ve done a lot of good, but Memphis basketball is always going to be good. Memphis basketball was good before I was ever born and Memphis basketball’s going to be good when I leave this great earth. I get it, I recognize it. I think the program, like I said, is as healthy as it’s ever been in every area. On the other hand, though, I do know that Memphis basketball is never about the head coach. The head coach’s responsibility is (to be) the gatekeeper. Just to keep it moving forward, keep it at a high level and that’s what I’m trying to do. We kind of talked about this being a unique situation and the passion of the fans and what the city is about when it comes to basketball. When it comes to local guys who become stars as high school players, who decide to stay home and play for the university, I know a lot of those guys have got friends, they’ve got family, they’ve got supporters. They all want to see their guys play. They want to see them play, they want to see them start, they want them to get minutes and perform well. How have you approached that happy medium where you’re putting what you feel is your best squad out there on the court, but at the same time trying to keep people happy? As a coach, that’s an important thing, too. You’ve got to win, but you’ve got to, at the same time, try to keep the peace amongst everybody a lot of times. You do the best job you can. One of the great perks about the job is there’s great recruiting in your back yard. Great players here in Memphis and the surrounding areas. That doesn’t mean everyone’s going to be the right fit for Memphis or we’re going to be the right fit for them. And it doesn’t mean we’re recruiting everybody and it doesn’t mean that everyone’s going to come. It’s a balance, but the bottom line is, the job is to get the best players, the best student athletes and to give you the best chance to have the most success on and off the floor. Looking back to last season, one of the real bright spots of the year and a real success story in a way was Geron Johnson, who obviously came to the university … with baggage. I’m sure you caught flack from some people for giving a kid like him a shot on your team. To see what he did last season, how he’s kind of grown and matured, what can you say about what he did to help turn around his public (image) and also be a big contributor to the team? I’m very proud of Geron. He’s very grateful and appreciative of the second opportunity that’s been given to him. And that’s a credit to our athletic administration and our presidents, both President (Brad) Martin and President (Shirley) Raines (and) our athletic directors Tom Bowen and R.C. Johnson before him. That’s the bottom line on that and he doesn’t take it for granted. He’s very proud to wear that uniform with Memphis on the front of the jersey. There’s a little bit of a similar situation with Michael Dixon coming into the program this year. What are your expectations? He’s coming in as a senior and everybody knows he can play. That’s been proven. He can back that up. What are your expectations for him as he joins the program now after being granted his waiver to play? You’ve got to produce. He’s got to do his job on and off the floor. He’s got to be at a high level in every area. He will be demanded and expected to do that. I’m expecting him to get the job done. This year, coming into a new conference, while Memphis has traditionally been a strong program nationally, with Conference USA, sometimes the conference matchups and nationally televised games – or tough, strong conference matchups – could be hard to come by. Coming now to the American Athletic Conference, what are, aside from your increased exposure and a tougher schedule, the benefits you see of coming to the conference this year and joining some of those new teams? I think it’s exciting. I have tremendous respect for Conference USA. I think it’s a great conference. I don’t think it got the respect it deserved, but I know the American is one of the best basketball leagues in the country. There are not too many leagues in the country – I think we’re the only league in the country besides the ACC – that has two hall of fame coaches in the league in Rick Pitino and Larry Brown. It’s a big-time league, big time exposure on national television. An exciting time. 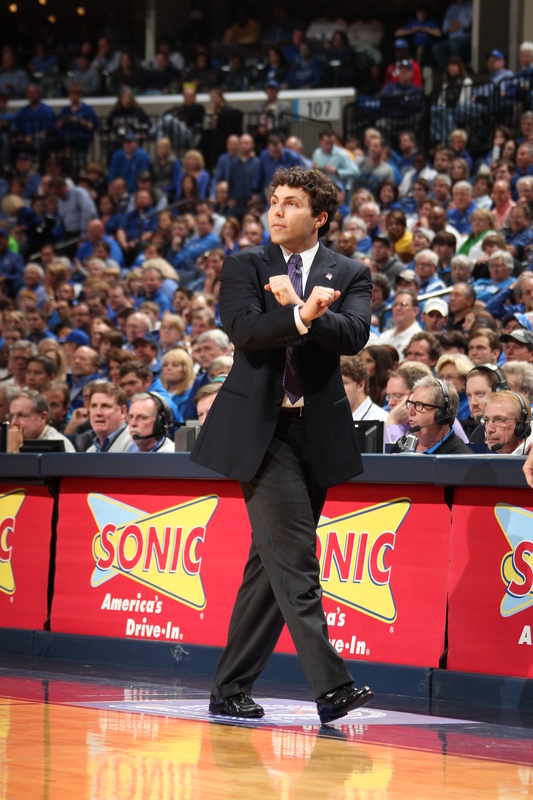 Do you think Conference USA is sad to see Josh Pastner go? If anybody (has been) a champion for Conference USA, it’s been you. I love Conference USA. I love the people that work in Conference USA. I think Conference USA was good for Memphis and I think Memphis was good for Conference USA. I believed in Conference USA and now as we move forward in the American, I’m going to do the same thing and pound my fist on the table and tell everyone how good the American is because I believe it. If anyone asks if I still feel the same way about Conference USA, absolutely. I just think there’s great basketball all over the country right now. Entering this season, you’ve got talent all over the court – with guys that are returning and with new guys. Looking to the season, what’s your outlook as you prepare? Who do you really see stepping up to be your leaders this year? I think our expectation is to be the best we can be. I think we’ve got good depth. We’ve got four senior guards. We’ve got some good young guys. I’m really excited about this team. We’ve got good guys and I’m excited to coach them. Obviously, I would like to be able to go 40-0. Because I don’t like losing at all, so being able to go 40-0 would be fun. But the reality of it is, we want to focus on each game. We need to focus on each day, one day at a time for us to get better. There are some things we’ve got to get better at. We have some holes we’ve got to clean up and some weaknesses. That’s just going to take time and practice to get where we want to get to. You mentioned the young guys. Of this new class that you’re going to have coming in, who are some guys you could see this year potentially stepping right on in? I think we’ve got a really good young group of guys. I’m not ready to single anyone out yet because they’ve got to produce on the floor. Production on the floor means none of those young guys have grabbed a rebound, thrown an assist or scored a point in Division 1 basketball. I think all the freshman class is talented and they’re good players, but they’ve got to prove it on the floor. Talking about it and expecting someone to do something – I’m not into that. I want to see production. I believe the production is the true sign. For more information on Pastner and the University of Memphis men’s basketball team, visit gotigersgo.com/sports/m-baskbl/mem-m-baskbl-body.html. Great interview! Coach Pastner has a certain charisma that I find endearing.